"Holy Week" (a.k.a. Palm Sunday to Easter Sunday) is the week that changed the world forever. And yet, for whatever reason, I found myself wondering if I've ever really let the full gravity of what took place during this week some 2,000+ years ago fall upon me this time of year. Have I ever really stopped like I should and deeply contemplated everything that Christ did for me back then? Have I ever really prayerfully considered every seemingly insignificant detail of "Passion Week" and how they all have such significant eternal implications? I can assure you that this isn't some pious, self-righteous sentiment that I'm forcing myself to go through as though it were some kind of "good work" that's necessary from "true Christians" this time of year or something. I'm also not trying to suggest that an exercise like this is necessary since it would somehow "make me closer to God" or "make me more loved by God" either. No, it's not any of that at all. However, I have been learning quite a bit about myself this Lent (my third as a Confessional Lutheran), and one of the things I've been thinking a lot about lately (particularly in recent days) is prayer. Clearly, prayer is supposed to be an important and regular part of any Christian's life. Both the Old and the New Testaments have considerable material and instruction pertaining to true prayer. From Genesis to Revelation the pages of the Bible are replete with all manner of information about God-pleasing prayer. The observant reader will find that God commands prayer, the conditions under which prayers are acceptable, when prayer may take place, under what conditions they will be answered, see a classification of different prayers. He will find a delineation of Christ's exemplary prayer-life, set forth as a model, and also become aware of samples of God-pleasing prayer, the Bible gives examples of answered prayer, who and what to pray for, different postures possible in true prayer, the need for prayer, times when to pray. It's incredible how easy it is for us to get prayer wrong though, isn't it? I know that for me, personally, prayer is something I've always struggled with and continue to struggle with. I'm not exactly sure why that is, but it's true even after all these years as a Christian. One thing I've realized about myself this Lent is how I need to be more "intentional" about the time I spend in prayer as well as the content of my prayers, because I've been rather lazy and lackadaisical about them for far too long. One resource I've really come to appreciate and enjoy using on a daily basis is Concordia Publishing House's Lutheran Book of Prayer (only $9.99 too! ), because it has helped me (and I hope the others I've used it with) so much in deprogramming myself from relying so heavily on the common Evangelical "J-Word/We Just Prayers" as well as the insanely repetitive "Ex Corde Prayers" too. So, I couldn't think of a better time to try and distance myself from those kinds of dangerous and irreverent prayers than during Lent and especially during this Holy Week. Matthew 6:5-8 (ESV) And when you pray, you must not be like the hypocrites. For they love to stand and pray in the synagogues and at the street corners, that they may be seen by others. Truly, I say to you, they have received their reward. But when you pray, go into your room and shut the door and pray to your Father who is in secret. And your Father who sees in secret will reward you. And when you pray, do not heap up empty phrases as the Gentiles do, for they think that they will be heard for their many words. Do not be like them, for your Father knows what you need before you ask him. Of course, Jesus continued by giving us His model for prayer in the next few verses of that passage when He gave us The Lord's Prayer we all know and love. With that in mind, I have to say that the prayers printed in my Lutheran Book of Prayer for both Tuesday and Wednesday during Holy Week are quite powerful indeed and they helped me to establish the proper posture and mindset as we continue through this week. Lord Jesus, compassionate Savior, plead for me in the hour of trial. You know my weaknesses and shortcomings; I cannot hide my sins from You. Pray for me, gracious Redeemer, lest I deny You. O Lord, You know that I have promised to be faithful to You, and nevertheless I have again and again sinned and offended You with my many transgressions and broken pledges. I am ashamed of myself. Yet I come to You, for there is no other Savior from sin. I have denied You, if not by word, then by my actions and conduct. O Lord, look upon me in mercy, and forgive me all my sins. I have not always confessed You to the world nor spoken of the hope within me. Gracious Savior, in Your great love, forgive me. Do not let me go on in my sin. Look into my heart, and make me ashamed of myself and truly penitent. O Lord, You know that I love You. I am Yours. Help me to be more faithful, more devout, and more zealous. In this Holy Week, lead me to a deeper appreciation of the great sacrifice that was necessary for my redemption. And, Lord, in Your mercy look upon all Your erring, sinning, straying children and bring them back and restore them to grace. Draw us all to You with Your constraining love, and keep us steadfast, unfaltering, and true. Hear my petitions and prayers. Amen. 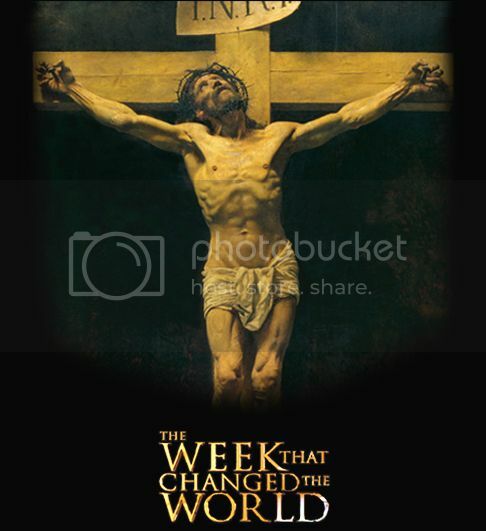 Lord Jesus, gracious Savior, I come to You in this sacred week to ponder upon Your great and wondrous love -- love that led You to the cross that my sin might be blotted out and that I might be reconciled to my heavenly Father. O Christ, give me strength and grace to crucify my sinful desires and dedicate myself anew to You, who has loved me with an everlasting love and brought me to eternal salvation. I confess to You my sins. They are many, and You know them all. For each and every one of them You suffered the agony of the cross and shed Your precious blood that I may be cleansed and made acceptable in Your sight. Let me not go through this day unmindful of Your great love. Let none of the sins of yesterday cling to me. Humbly I come, seeking Your mercy. Daily let me fulfill the tasks and duties to which You have called me with joy, confessing You as my Lord and Savior, and being of service to my neighbor. Grant that Your suffering and death, proclaimed for the salvation of mankind, may, by the power of the Holy Spirit, awaken in many a deeper love for You. O Lord, have mercy upon me and all sinful mankind, and create in me and all that seek You a clean heart, holy desires, and an undying love. Hear my prayer, gracious Redeemer. Amen. Now, put that together with what I read from Rev. Scott R. Murray in his Daily Devotions from the past several days and you have a recipe for true Christian edification! It is easy enough to cluck about the ignorance of our clergy and other church leaders and even to ridicule them for their manifestly risible missteps. But perhaps we should be asking the question, "Why has God sent us such leaders?" We should look to ourselves. Perhaps God has sent us the leaders we have deserved. We have not prayed for the bread that comes down from heaven, but have acted like it was our due, as though God always owed us that word and faithful preachers, "Of course the Word will always be among us. We are the Missouri Synod." Woe unto us for such arrogance and unbelief. We should pray all the more fervently in these dark days of spiritual ignorance and unbelief that God would give us our daily bread, not only bread for the body which only keeps fleshly life alive but also, and especially, the daily bread for the soul which gives life that cannot die. Give us this day our daily bread. Prayer expects great things of God. Prayer is an act of faith that storms the very gates of heaven, but not merely in the forlorn hope that perhaps God might hear our prayer and answer. Prayer is the confidence to take God at His word expecting great gifts from Him, because He has promised to give us such things. We shall not be repulsed if we pray with loins girt up with the Word of God. All the treasures of God's kingdom are open to us because our Lord Jesus Christ has long ago rent open the very gates of heaven (Revelation 4:1) and invited us to come to Him for every blessing (Matthew 11:28). Prayer expects great things of God not because prayer is anything great in and of itself. Prayer expects great things of God because our gracious God is great. God has promised to hear our prayer and grant us every blessing. Our problem is not that we ask for too much from God but in our timidity and unbelief we ask for far too little. We cannot "over ask" God's grace. Our requests can never outstrip his ability to give. Let us therefore not act like a miserable beggar who asks only for a crust of bread from His Majesty. Let us ask of Him great and precious things as kings and priests in His kingdom redeemed by the precious blood of His Son our Savior. Expect great things of God. Something tells me I'll be spending more time on prayer in the days and weeks ahead. There's just so much to take in that I had never really thought about like this before! When we pray "Thy kingdom come," you see that we do not pray for a crust of bread or a temporal, perishable good. Instead, we pray for an eternal inestimable treasure and everything that God Himself possesses. This is far too great for any human heart to think about desiring, if God had not Himself commanded us to pray for the same. But because He is God, He also claims the honor of giving much more and more abundantly than anyone can understand (Ephesians 3:20). He is like an eternal unfailing fountain. The more it pours forth and overflows, the more it continues to give. God desires nothing more seriously from us than that we ask Him for much and great things. In fact, He is angry if we do not ask and pray confidently (Hebrews 4:16). It's like an occasion when the richest and most mighty Emperor would tell a poor beggar to ask whatever he might desire. The Emperor was ready to give great royal presents. But the fool would only beg for a dish of gruel. That man would rightly be considered a rogue and a scoundrel, who treated the command of his Imperial Majesty like a joke and a game and was not worthy of coming into his presence. In the same way, it is a great shame and dishonor to God if we-to whom He offers and pledges so many inexpressible treasures-despise the treasures or do not have the confidence to receive them, but hardly dare to pray for a piece of bread. All this is the fault of shameful unbelief that does not even look to God for enough decent food to satisfy the stomach. How much less should such unbelief expect to receive eternal treasures from God without doubt? Therefore, we must strengthen ourselves against such doubt and that this be our first prayer. Then, indeed, we shall have everything else in abundance, as Christ teaches, "Seek first the kingdom of God and his righteousness, and all these things will be added to you" (Matthew 6:33). For how could He allow us to suffer lack and to be desperate for temporal things when He promises to give us what is eternal and never perishes (1 Peter 1:4)? While many of us may already be quite familiar with those words from the Large Catechism, there are some additional insights from the good doctor (derived from his personal writings on the topic of prayer) that should give us cause for concern as prayer relates to the existence of unfaithful Pastors among us and in Christ's Church today. The meaning of the prayer is that God may give us the supernatural bread, our select, peculiar, and daily bread -- daily so that we have it on hand and are constantly supplied with it against the time of need and suffering (which we may expect daily), so that it might strengthen us, lest we be taken unawares and despair and perish and die eternally from want of it. We must note here that we Christians ought to be richly and abundantly supplied with this bread. We should be so well versed and instructed in the Word of God that we have it at hand daily in all trials and will be able to strengthen ourselves and others. This is what the dear saints were able to do, as we gather from their letters and biographies. But we are at fault when we suffer want because we do not ask God for this bread. In consequence, we have ignorant bishops, priests, and monks, who have nothing to give us. And we, in turn, make a bad situation worse by loathing, ridiculing, and despising them. God's wrath brings matters to such a pass! Therefore we should examine this petition closely. In it God teaches us to pray for all spiritual leaders, especially for those who are supposed to offer us the Word of God. It will not be given to them unless we prove ourselves worthy of it and ask God for it. Therefore, when you see untrained and incompetent bishops, priests, or monks, do not curse, condemn, or rebuke them, but regard them as a horrible plague from God by means of which He punishes you and us all for not praying the Lord's Prayer and for not asking him for our daily bread. If we would sincerely pray the Lord's Prayer and ask for our daily bread, God would surely hear us and send us fine, capable, and learned spiritual leaders. We are at fault more than they. These days we find people whom God punishes by so hardening their hearts that they not only fail to recognize our untrained clergy as a plague, but even take delight in despising them and making light of this deserved plague of God, whereas they should really be weeping bloody tears, if this were possible, over such a serious and severe plague inflicted on us by God. I want you to know that God has never yet punished the world more harshly than by allowing blind and ignorant leaders to exist, who destroy us by withholding the Word of God and our bread. Let the Turks be Turks. This plague surpasses them. Woe unto us for not realizing this and praying for it to cease! On the other hand, God has never been more gracious to the world than when He granted it well-informed and devoted spiritual leaders, who supplied this Word daily and abundantly. Christendom, and every Christian soul, is born in and through the Word of God. Therefore they must also be nourished, preserved, and protected by it. Without it, they will perish more wretchedly than does the body when deprived of its physical bread. Again, God willing, I might have to spend much more time on the topic of prayer in light of all of these new revelations that I had never been exposed to before, but I'm getting ahead of myself. This Holy Week, let's expect great things of God as in hearing the truth proclaimed throughout the week ahead as it enters our ears and rests upon our heart, mind, and soul. Let's expect to hear about the undeserved gift of a sinless Lord and Savior Who came to become sin so that He could save us from all our trespasses and transgressions against God's Law. Let's expect to hear that He chose to willingly do all us that so that we could be reconciled with the Lord, reconciled unto justification, salvation, redemption, sanctification and to eternal life. Let's expect to hear how we need to commemorate everything from our faithful King's triumphant entry into Jerusalem, to His Last Supper with his beloved Apostles, to His betrayal by one of His own, to his His scandalous persecution, suffering, and torture, all the way to His death upon the cross leading to His victorious resurrection for you, for me, for all of mankind! No, prayer is not a "Means of Grace" or a means of personal revelation either, but it is a means of communicating our love and thankfulness to God for all He's done and all He continues to do for us in and through His one and only Son, our Lord and Savior, Jesus Christ, Who is forever the King of kings and Lord of lords (Revelation 19:16). In a Lutheran layman's terms, the above prayer for Holy Week helps to orient our thoughts Biblically as we meditate upon the week that changed the world forever. As a result, "every knee should bow, in heaven and on earth and under the earth and every tongue confess that Jesus Christ is Lord, to the glory of God the Father" (Philippians 2:10-11).